The Southern Africa Customs Union (SACU) launched the SACU Trade and Statistical Database, an online platform that will provide economic and trade data on SACU member states in an effort to address the increasing request for trade and economic data from external and internal stakeholders. Speaking at the launch of the statistical database, the Executive Secretary of SACU, Paulina Elago said that SACU member states collectively work towards the economic development and regional integration, “This is consistent with the SACU vision which is an Economic community with equitable and sustainable development, dedicated to the welfare of it’s people for a common future,” she stated. 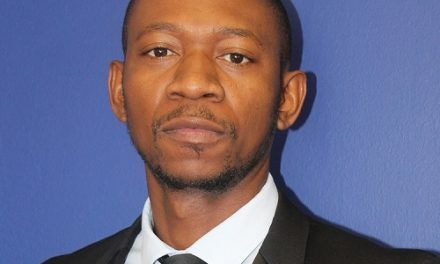 The executive secretary said that the database can be accessed from the comfort of a clients device from anywhere, and will more importantly serve as a tool to monitor the performance of the SACU member states in achieving the objectives of economic development, industrialisation and competitiveness. Furthermore the portal will also inform the process of policy planning and development as well as trade negotiations amongst others. Moreover she added that the availability of reliable statistics in general is of great importance given that such statistics will generally serve for research and decision making as well. “Thus the SACU Trade and Statistical Database goes beyond a mere collection and dissemination of information. It serves as a critical tool and source of information that enhances opportunities for government, the private sector, and the wider public to productively engage one another. Whether in bolstering economic activity through relevant information that promotes competitiveness, or just simply making our people better understanding of the economic performance of the region.” Elago explained. She however cautioned that the relevance on the portal is dependent on timely updates through collaborative undertaking between relevant stakeholders and appealed to SACU’s stakeholders to avail timely updates to the Secretariat in order to keep the data base updated. Elago said. In conclusion she thanked the Statistical Offices in member states for their dedication and support in providing data for the database to the Secretariat.